It has been a while since I have done a photo tour of Downtown Disney, and it was time to head back into what might be the construction capital of the world. 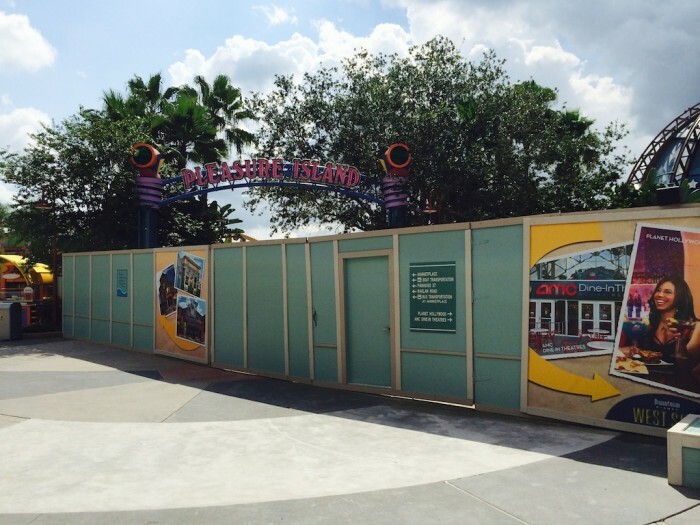 There are major projects going on in every single section of Downtown Disney, making a day trip there a potentially stressful challenge. 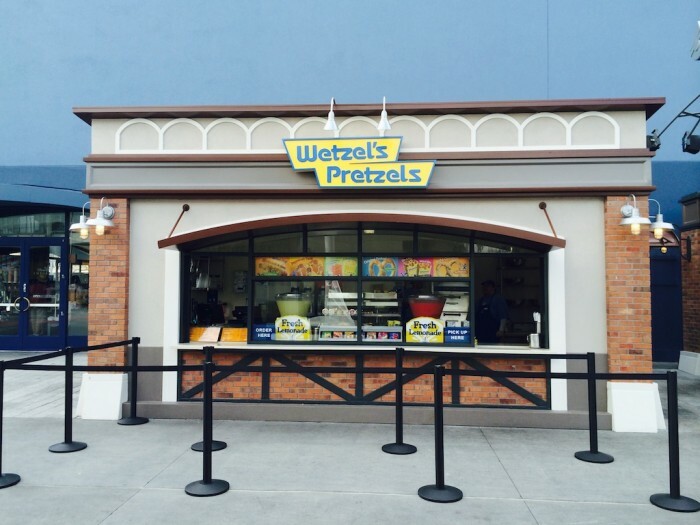 However, it seems as though the area has finally turned a corner, and we are starting to see developments that make Downtown Disney a place worth checking out rather than avoiding because of the construction hassle. Looking at my previous Downtown Disney article from April shows some rather significant changes, so here is what is going on now…. 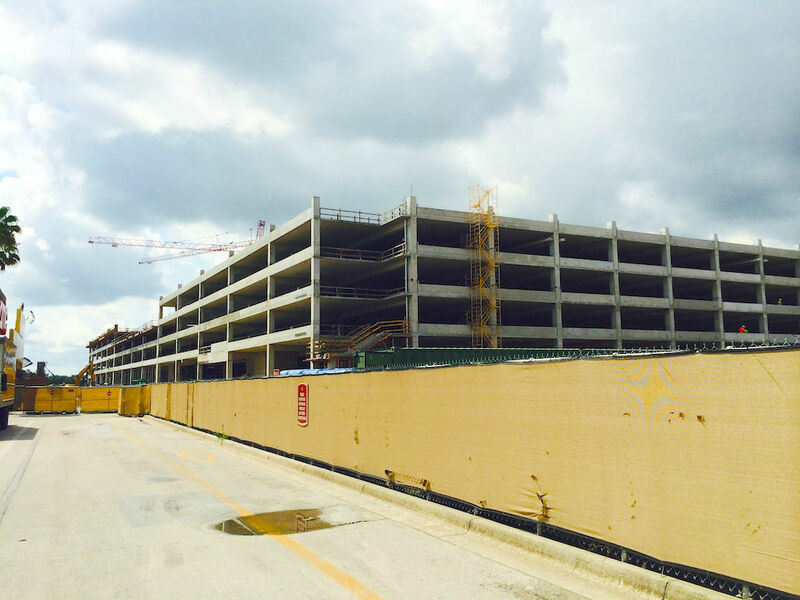 The parking garage is looking massive, and the map of the area says it should be completed “Early 2015.” Busch Gardens should have done that for its long delayed Falcon’s Fury ride that is “Opening Sometime in 2014.” As ugly as Downtown Disney is right now because of the overall construction, far and away the biggest problem is parking. 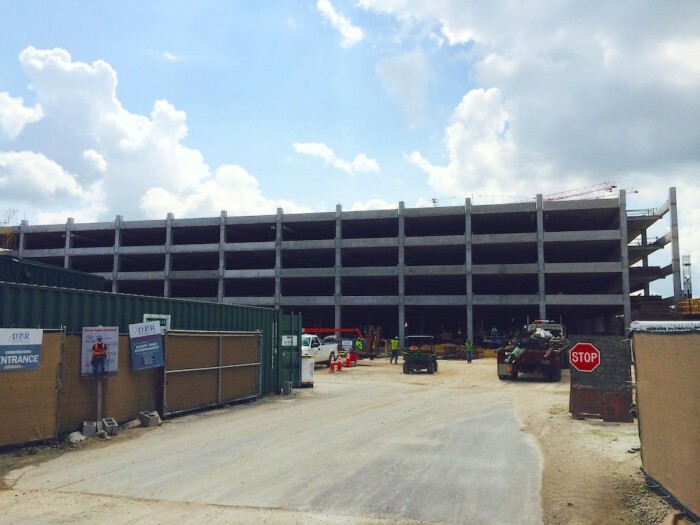 It was bad enough before huge sections of parking spaces were completely shut down to make way for a much-needed parking garage, and now it can be maddening. For the Guardians of the Galaxy showings this past weekend, the AMC movie theater at Downtown Disney was advising guests to arrive an hour early to give themselves time to find a parking space, with many guests being directed to the overflow areas across the street at Team Disney and Casting. There was also construction going on in the open parking lot next to Cirque du Soleil, taking away even more potential spaces. The Haagen-Dazs and Wetzel’s Pretzels venues that were relocated to make room for Starbucks on the West Side have opened up. 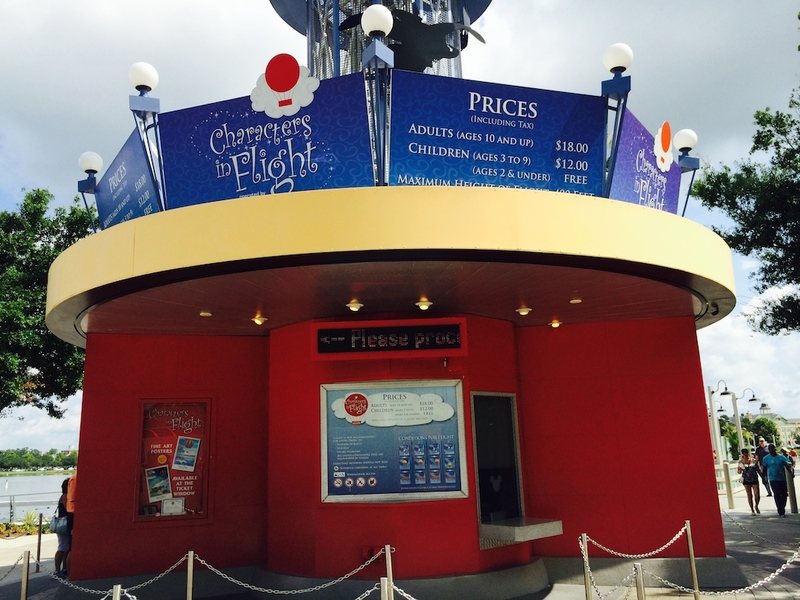 These are both on the west side of the DisneyQuest building and facing the Cirque du Soleil tent. There is a small seating area next to Haagen-Dazs. 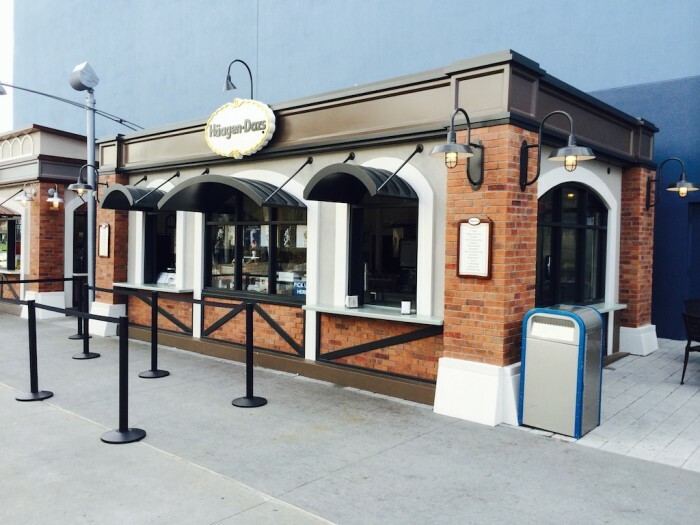 Haagen-Dazs location next to DisneyQuest. 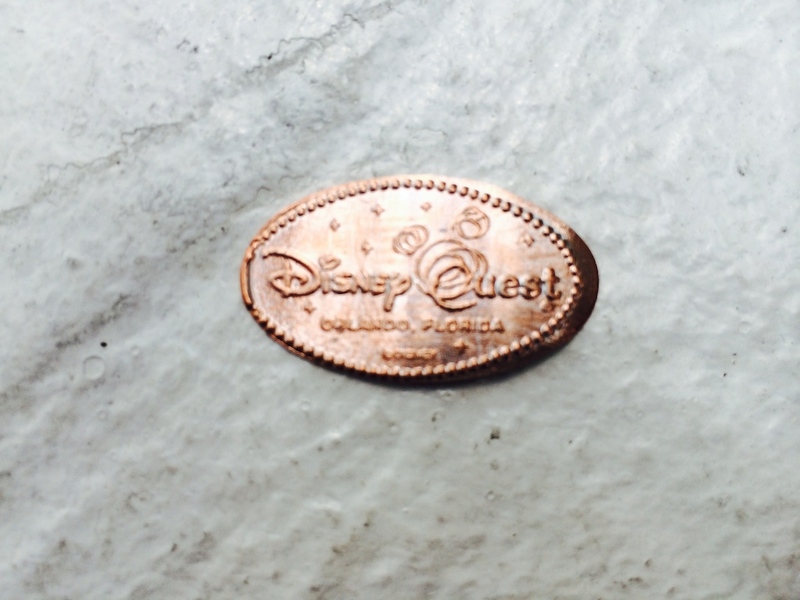 I went into the the DisneyQuest Emporium to see if there were any DisneyQuest branded items like shirts or magnets, but all I found was a pressed penny. 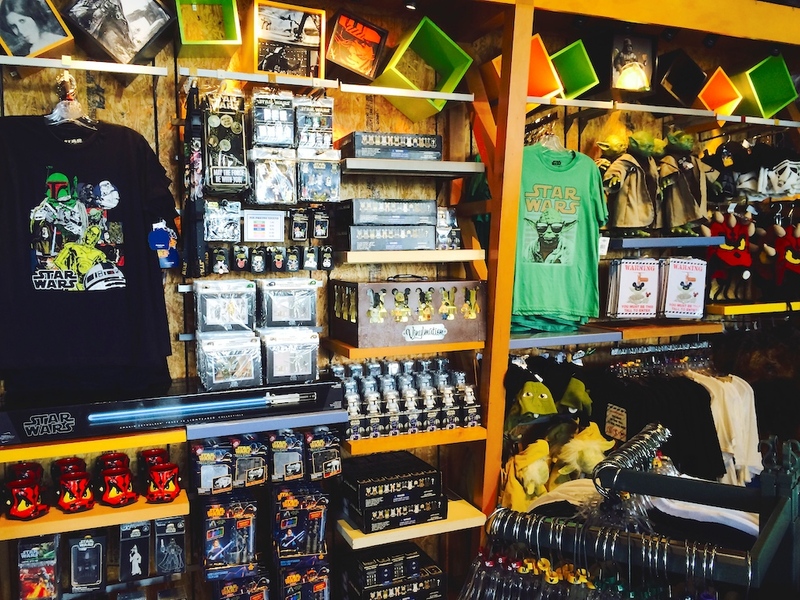 The store, itself, is filled with items you would find in the gift shop of any Disney, resort including plush, t-shirts, and toys. There was a good selection of Disney Infinity figures. 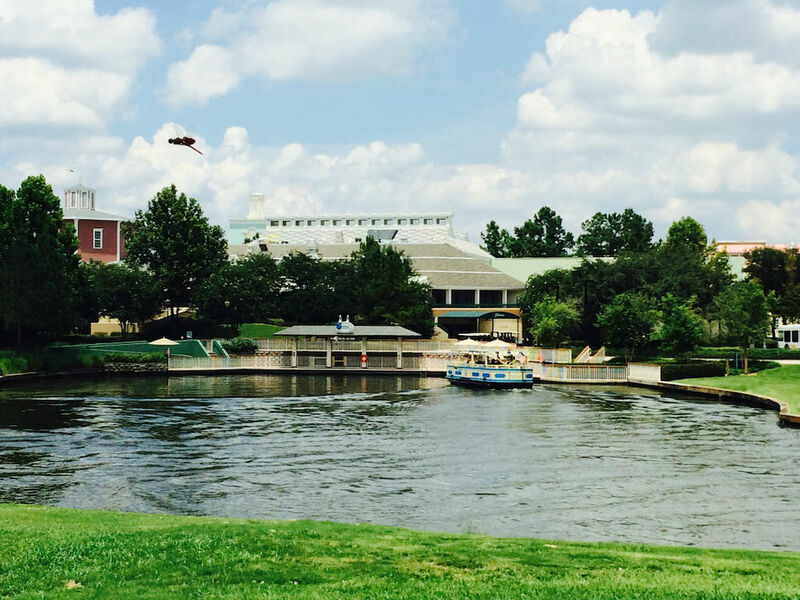 Across from the front entrance to Disney Quest is the House of Blues, and behind House of Blues is one of the two boat docks. 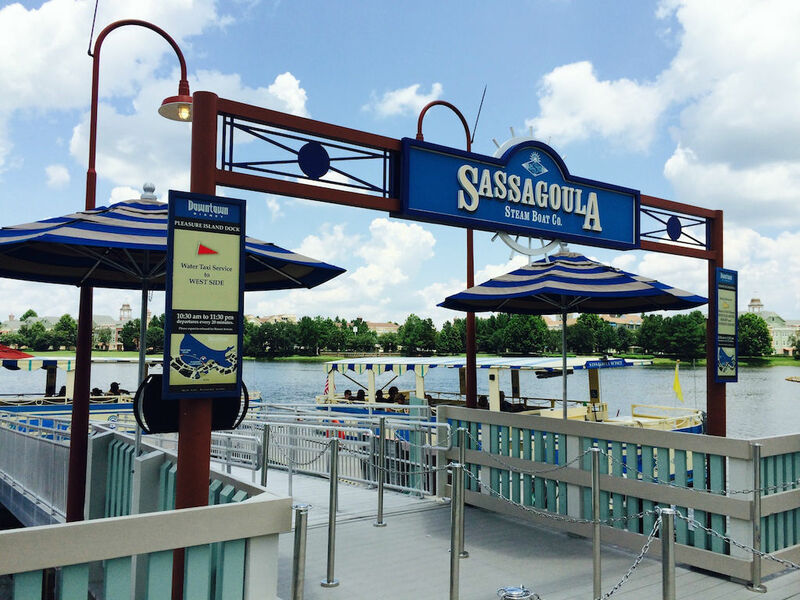 The West Side boat dock has service to Pleasure Island, as well as to Disney’s Old Key West and Saratoga Springs Resorts. 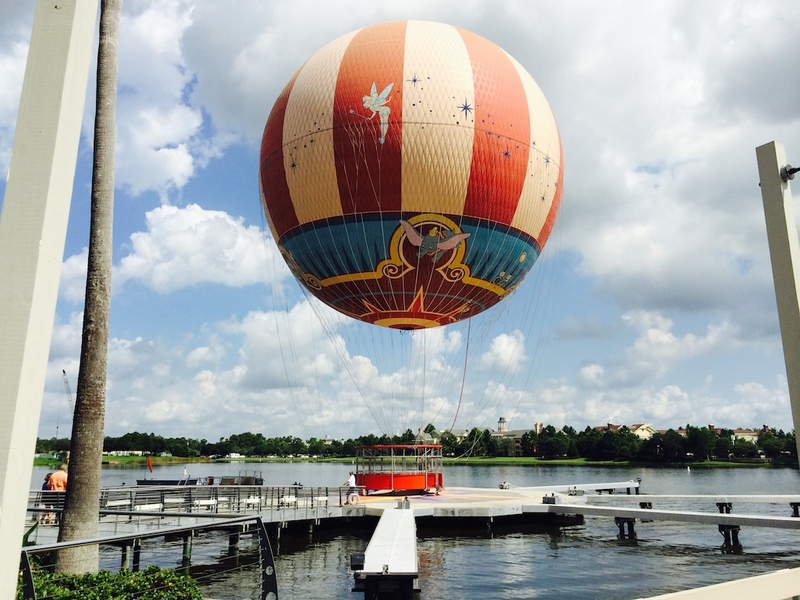 Saratoga Springs is right next to Downtown Disney, with only a parking lot and a small bit of water separating the two. 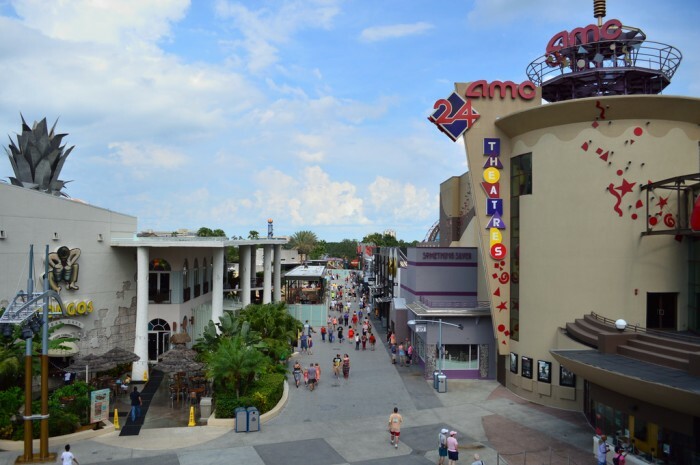 I had lunch at Splitsville (you can read the write-up by clicking HERE) and got a nice bird’s eye view of Downtown Disney’s West Side taken from the second floor outdoor deck. 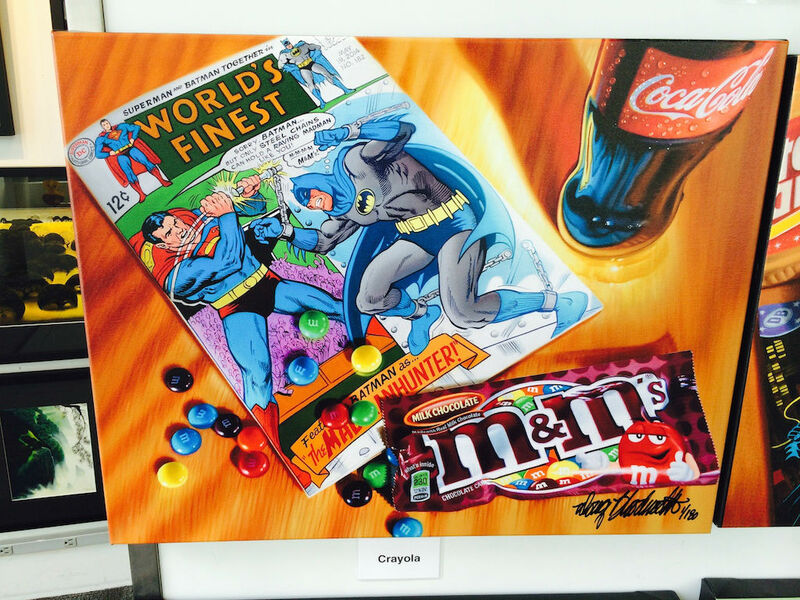 The Pop Gallery has a lot of really neat art and this time had a selection of pieces by Doug Bloodworth. 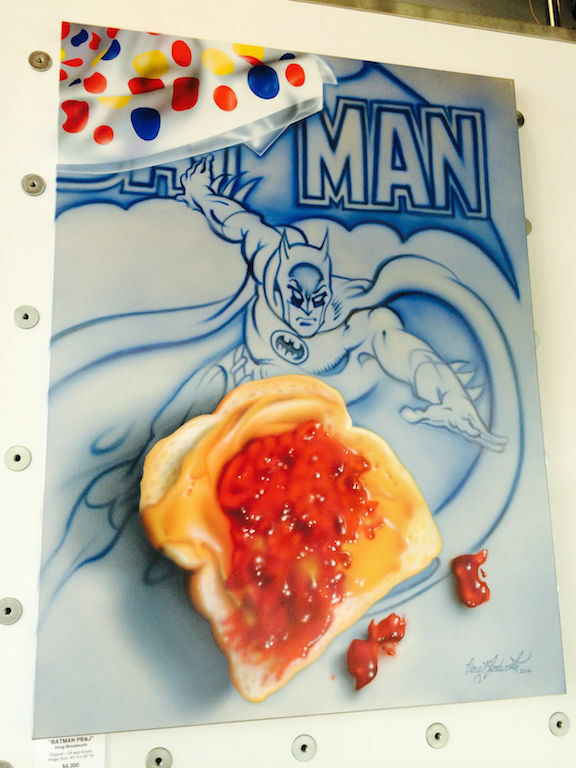 These limited edition canvas giclees featuring comic book superheroes and food ranged from $350 to $1,200 each. 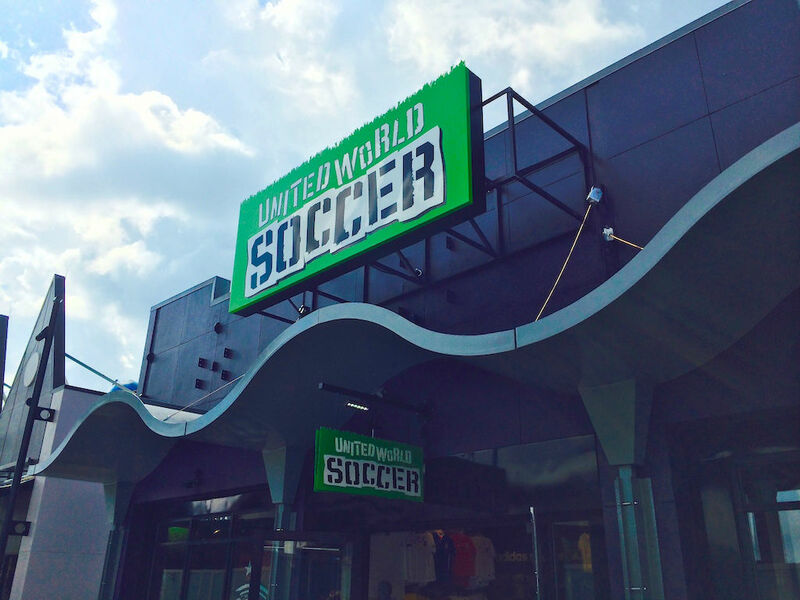 The United World Soccer store opened up for the World Cup earlier this year and is still around. I actually think this concept is better than the Team Disney store that used to be over in the Marketplace. 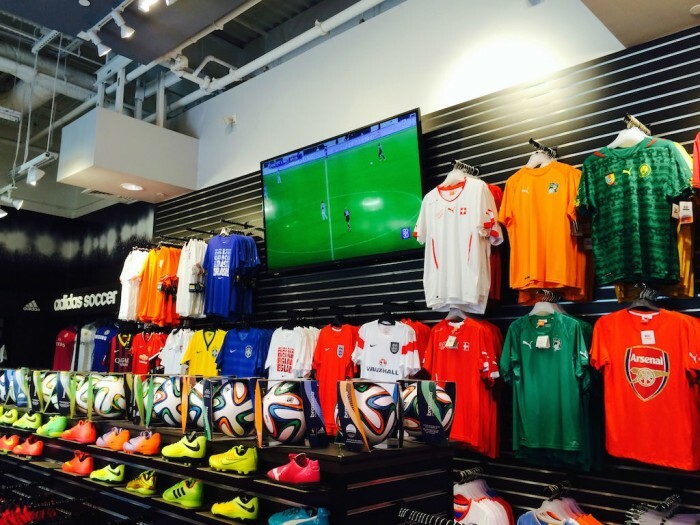 It is a small enough store and can focus on over-delivering to soccer fans. There are big TVs inside playing soccer matches, along with a whole bunch of soccer related items. 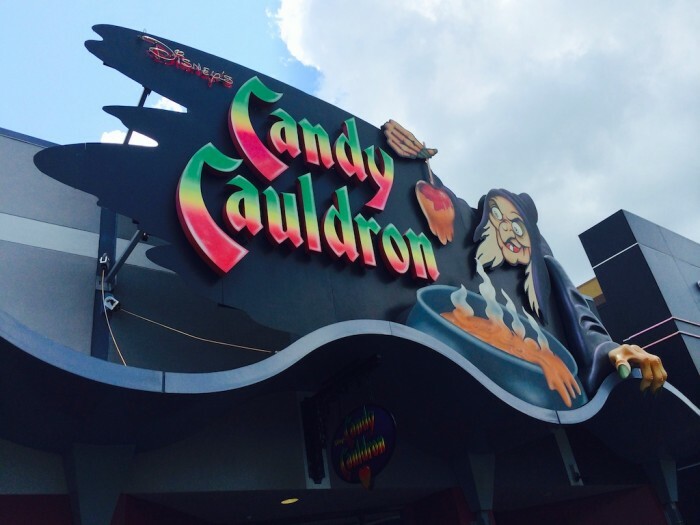 I love going into Disney’s Candy Cauldron if only to see the candy apple designs. 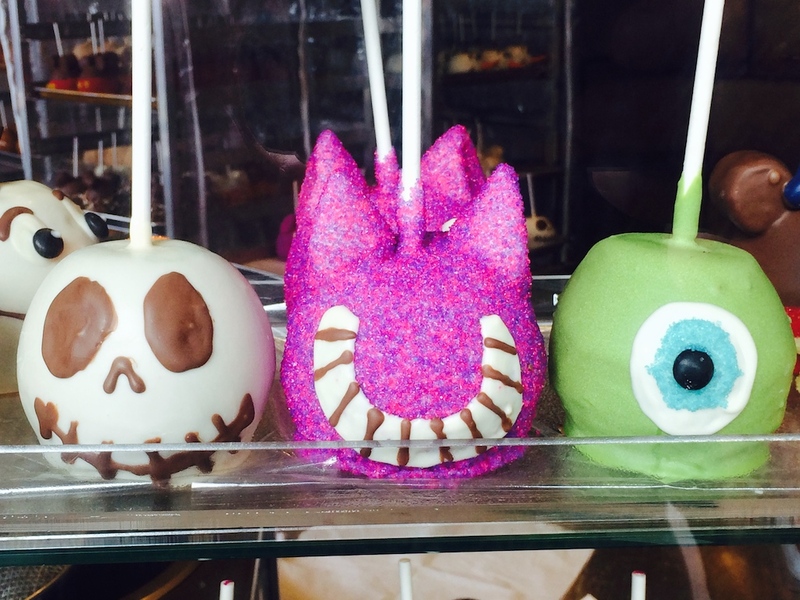 Nobody does candy apples better than Disney, and the apples made my list for the Six Most Outrageous Foods at Walt Disney World. 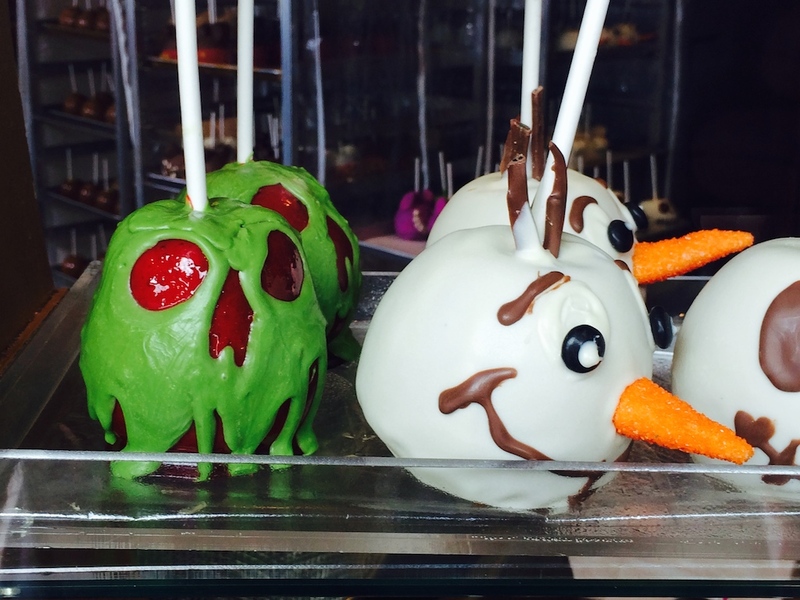 The first apple in the this photo is so creepy it looks like something that would fit in perfect with Universal’s Halloween Horror Nights. I love it. Prices are $9.99 each. 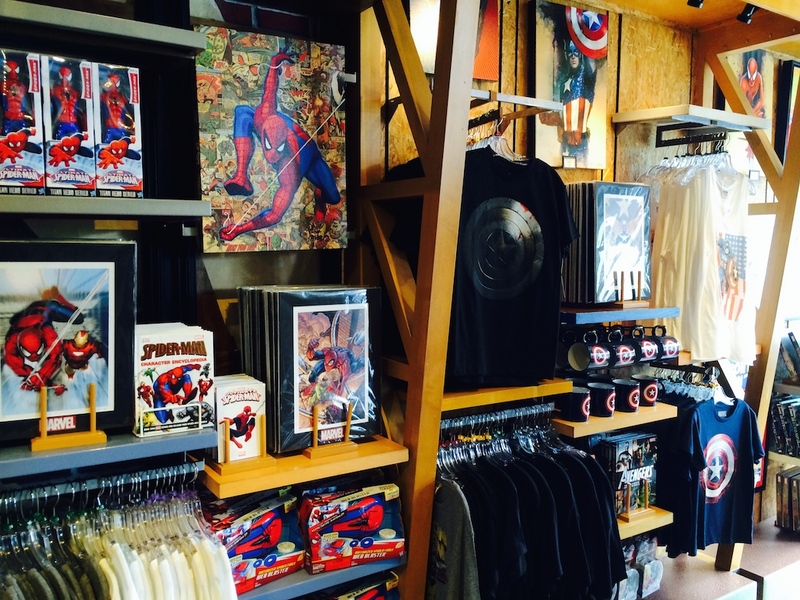 I also stopped into D-Street, as a TouringPlans reader wanted to verify that Spider-Man Mickey ears were being sold. 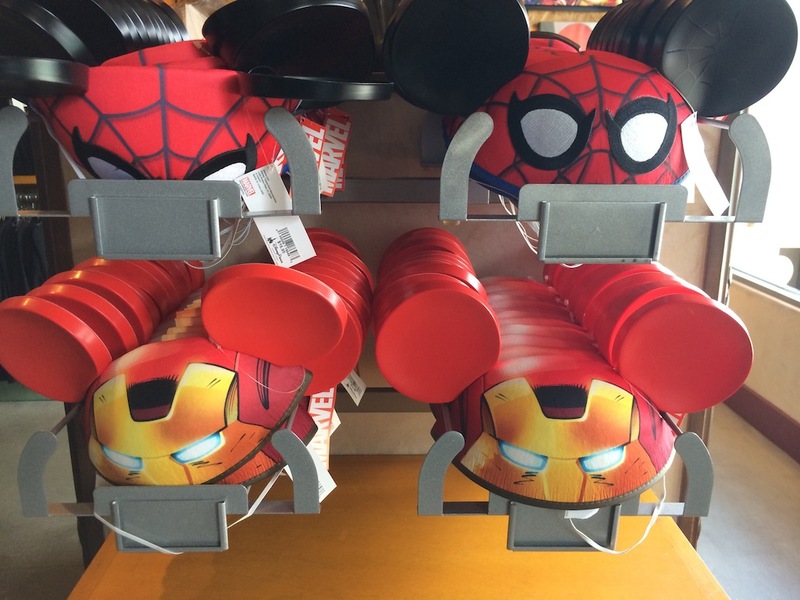 D-Street had both Spider-Man and Iron Man ears at $16.95 each. There were only child sizes available, so I’m not exactly sure if they also make these for adults off their Xanax perscriptions. D-Street was originally based completely around Vinylmation figures, but now more than half of the store is dedicated to Marvel Comics and Star Wars items. 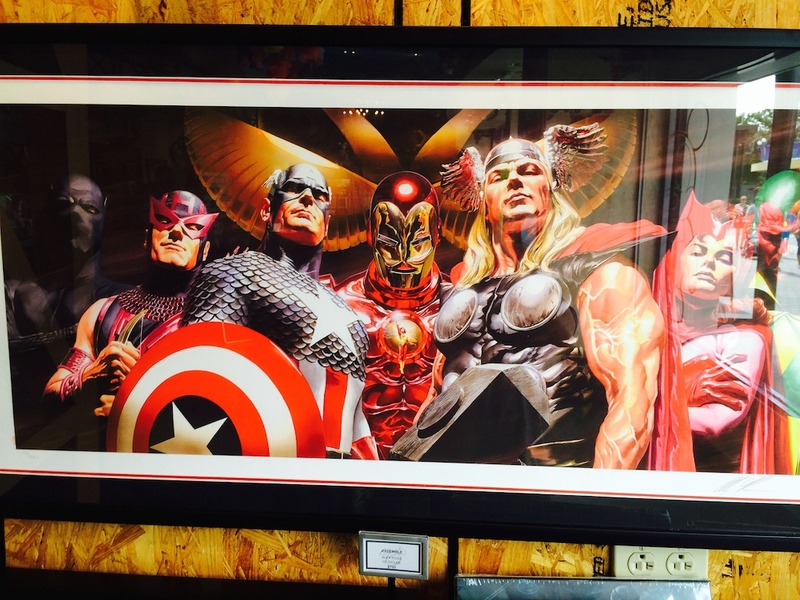 There were a lot of great Marvel prints by some of my favorite artists, including Alex Ross and Joe Quesada. 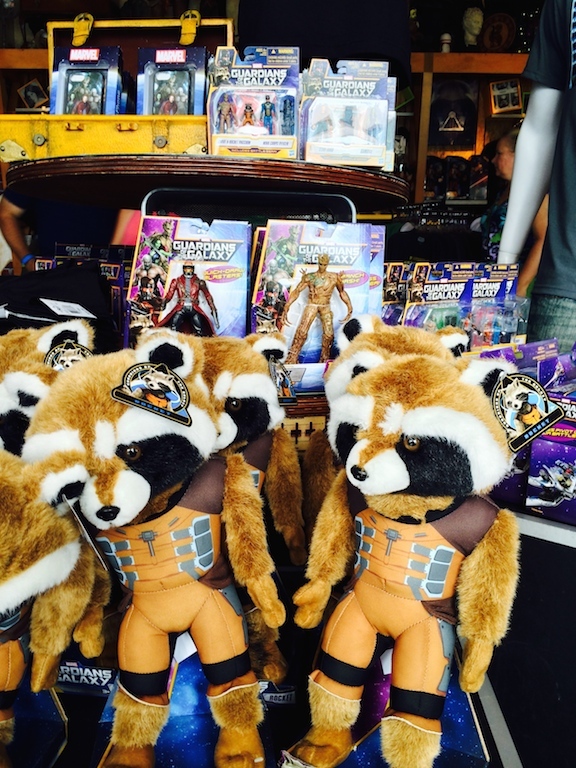 In fact, as soon as I walked into D-Street there was a large Guardians of the Galaxy display with various items, including a Rocket Raccoon doll. 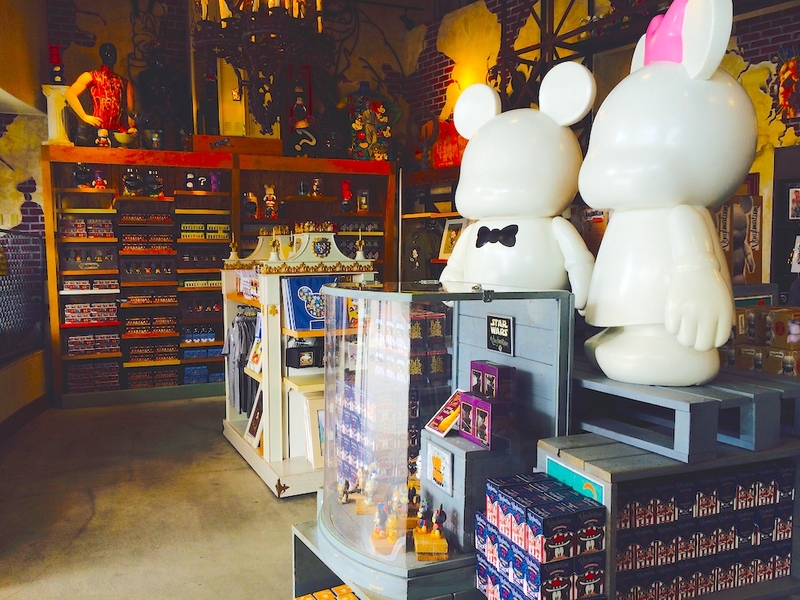 One section of D-Street was still focused on Vinylmation. 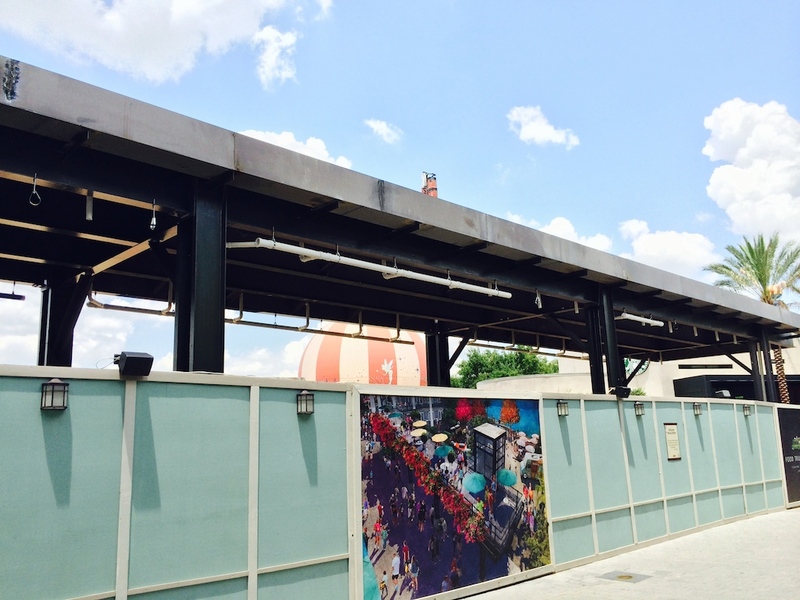 Across from United World Soccer, Disney’s Candy Cauldron, and D-Street is the upcoming Food Truck Park. What you can see above the construction walls is what will be an elevated dining area. This other piece of Food Truck Park concept art shows the area from the opposite side. 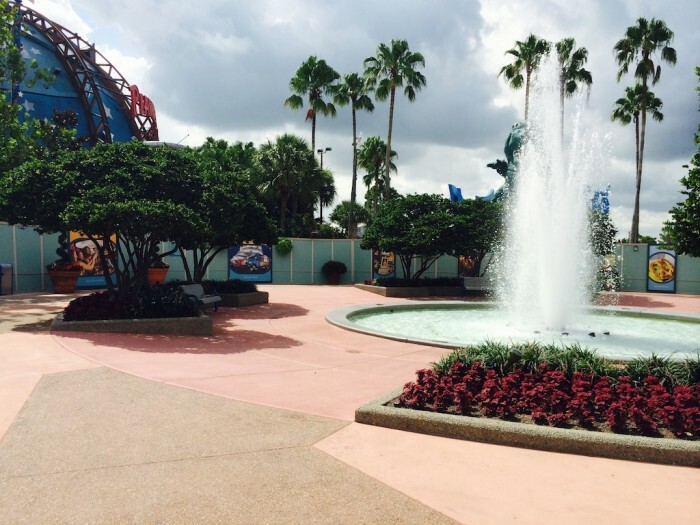 The entrance to Pleasure Island is still completely walled off, and now the walls go for a while in both directions. 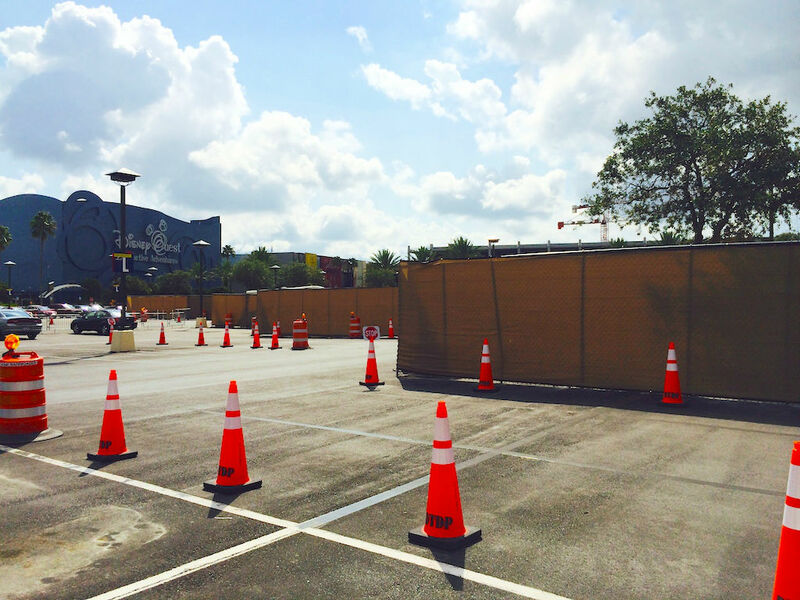 Taking a right turn leads us to the area of Planet Hollywood, which is now almost completely engulfed by construction walls. Turning around and taking a left at the Pleasure Island arch brings us to the Characters in Flight hot air balloon, which was going up and down all afternoon. Here is a list of the pricing. 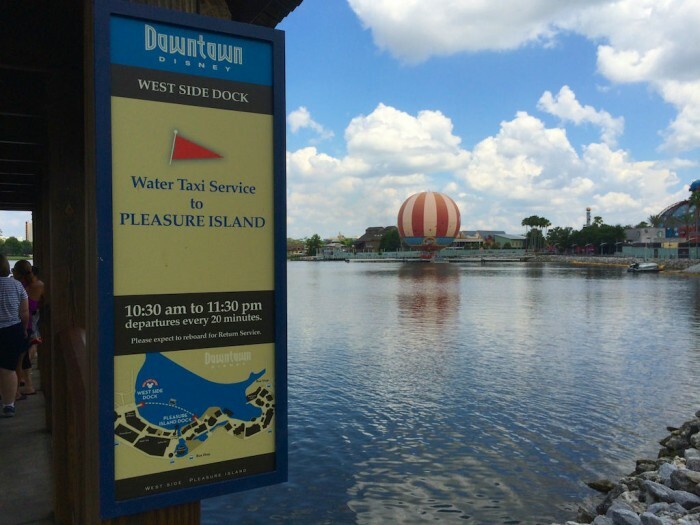 Taking the walkway around Pleasure Island leads us to the Pleasure Island boat dock. 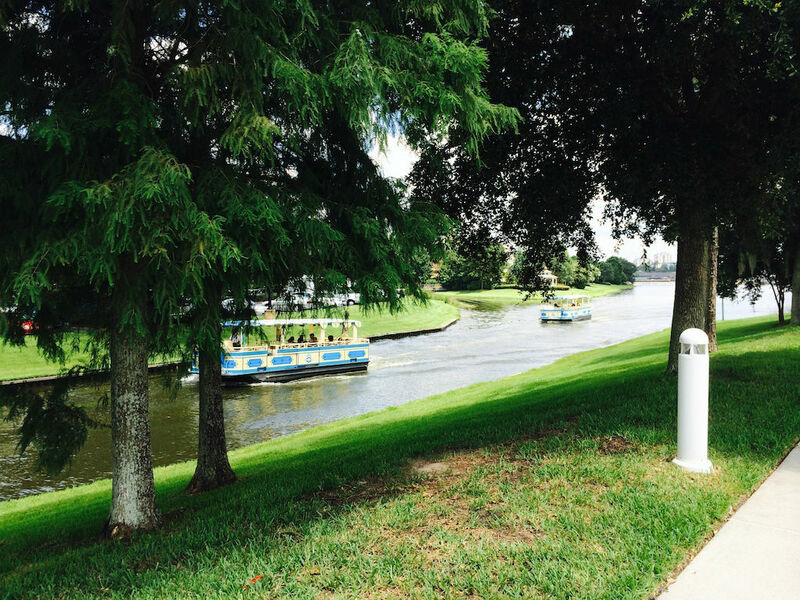 These boats have service to the West Side dock and to Disney’s Port Orleans French Quarter and Riverside resorts. There has been some major work started for an upcoming Disney Springs project. This area looks impressive in its steel form. 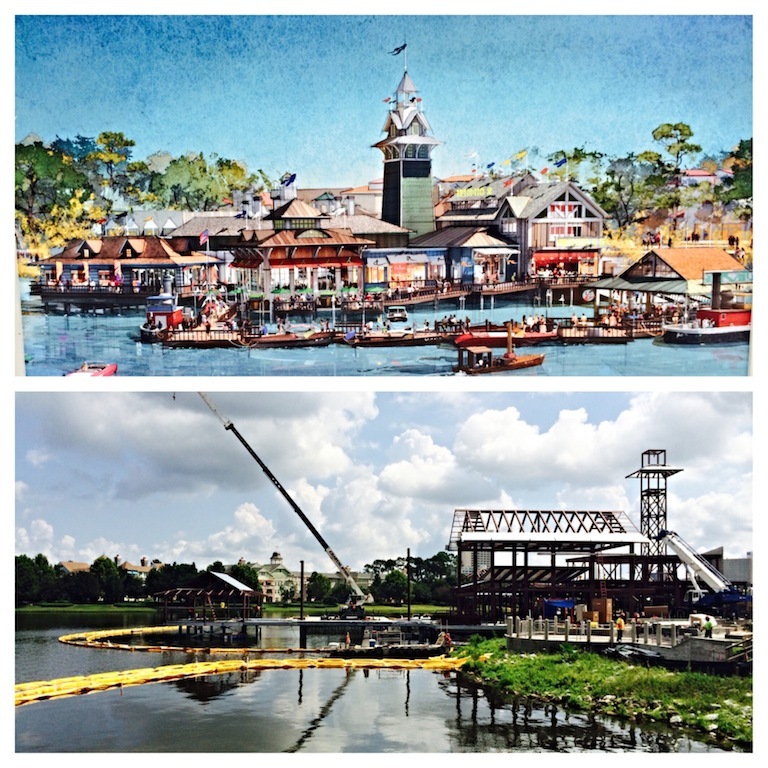 We’ve reached the end of The Area Formerly Known as Pleasure Island. 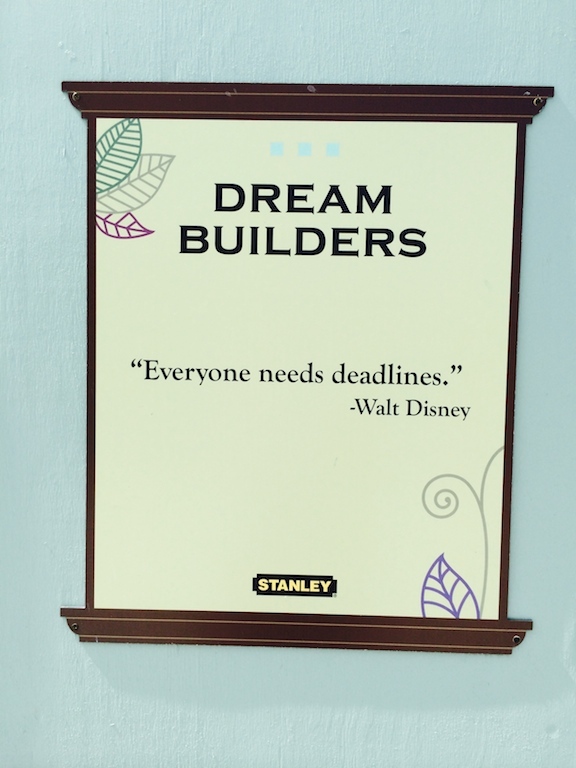 I want to close with my favorite sign on all the construction walls, and when you see it keep in mind that as far as I know there is not a single deadline for anything related to Disney Springs other than the parking garage in “Early 2015.” After you finish you can head on over to Part TWO with a look at Downtown Disney’s Marketplace. 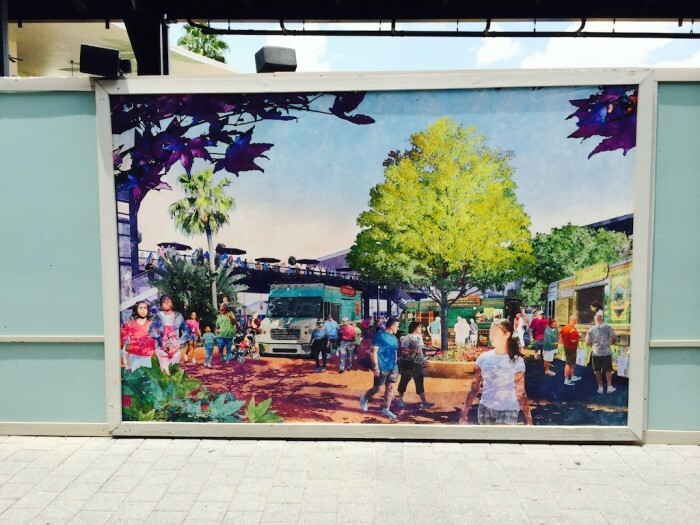 I know Touring Plans advises people to drive instead of taking Disney Transportation (except to Magic Kingdom,) but given the parking mess in Downtown Disney, does this still hold true? We will be in the campground in October with our own car. What do you think? don’t even think about driving to Downtown Disney. It is an absolute mess. Since the campground is quite close to Port Orleans, I would drive there and take a boat to downtown Disney. If you park at French Quarter, you can grab some benniets for the boat ride. 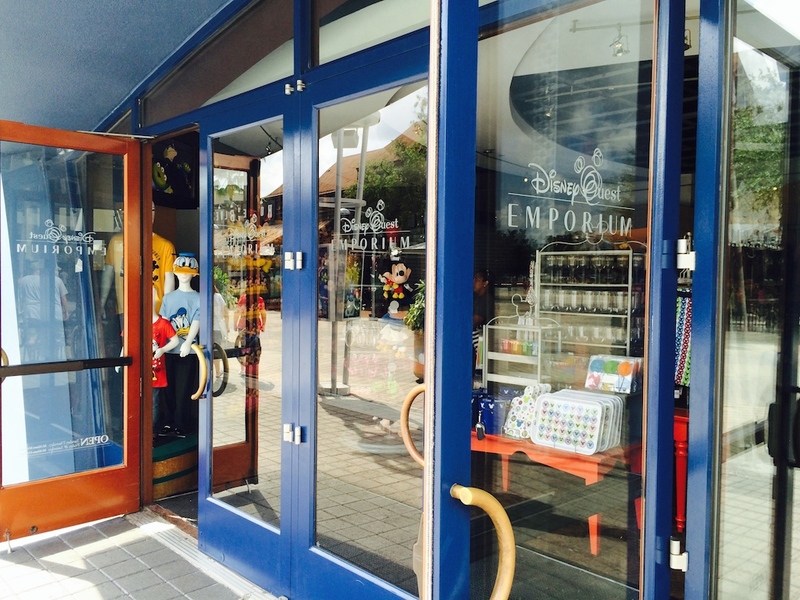 If you “rope drop” Downtown Disney or get their relatively early, parking isn’t bad. Once you get into the afternoon or evening it depends on your frustration level. 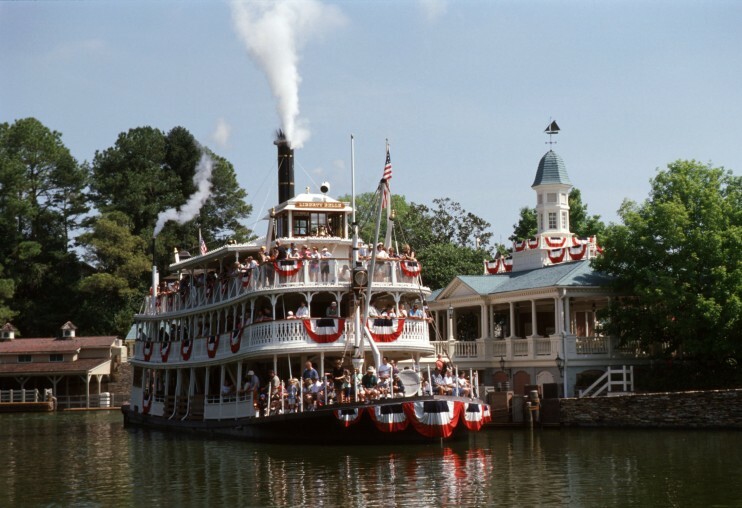 The boat idea is a great one because it also allows you to explore the great French Quarter resort area. 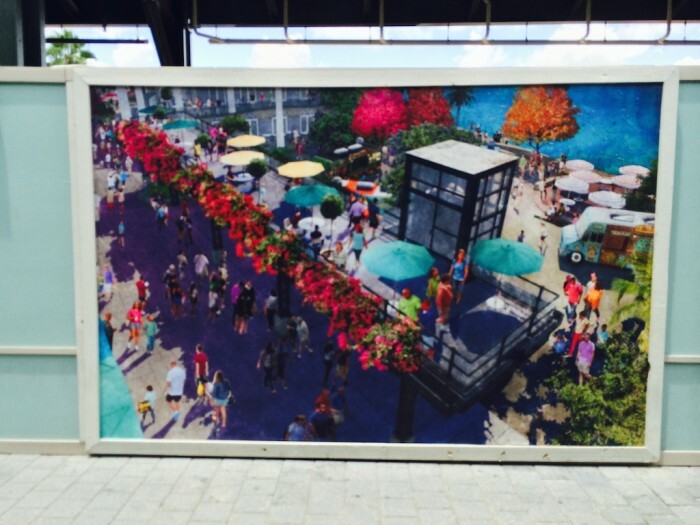 How is Raglan Road accessed, since Pleasure Island seems to be blocked off? Also, is Disney’s bus service to Downtown Disney still running fairly smoothly from the hotels? 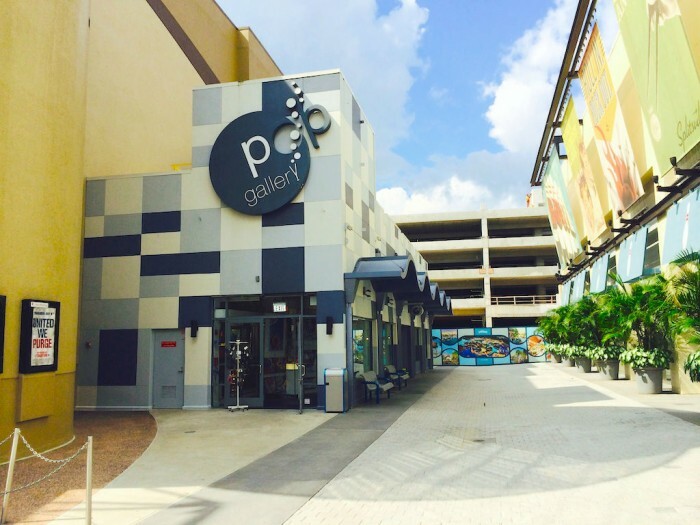 We will be coming from Pop Century. We will have a car but I see that is not recommended to get to DD. 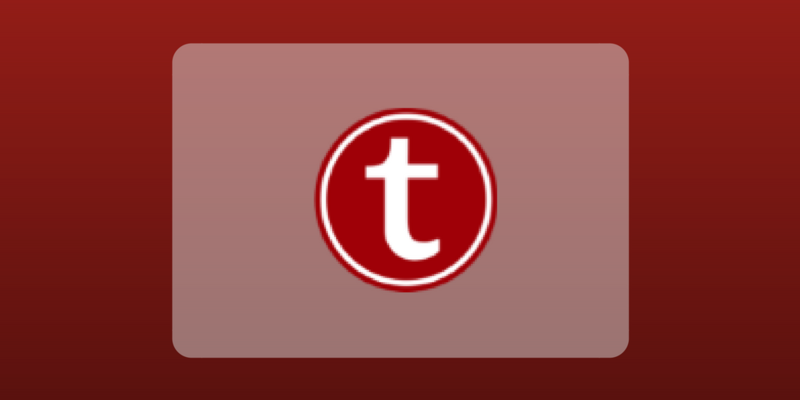 Good update. We’ll likely be there again in mid-November. One thing that has always made me chuckle, though, is food trucks (or roach coaches as we used to call them before they became trendy) that don’t actually go anywhere. What’s the point? Agreed. I would never eat food from a restaurant that has no hand-washing or toilet facilities, so I never eat food from a truck or cart in the city. 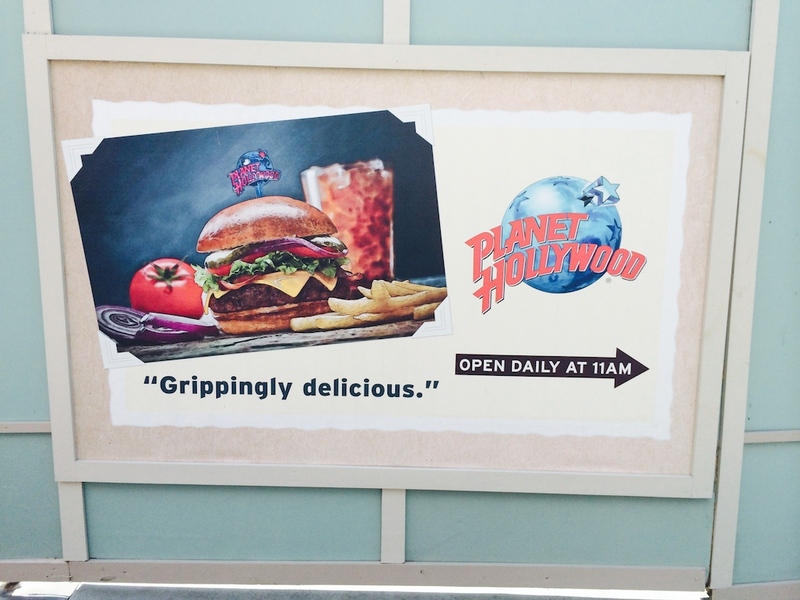 I know Disney’s standards are higher, but still, a food truck is not why I’m on vacation. I just don’t get it.